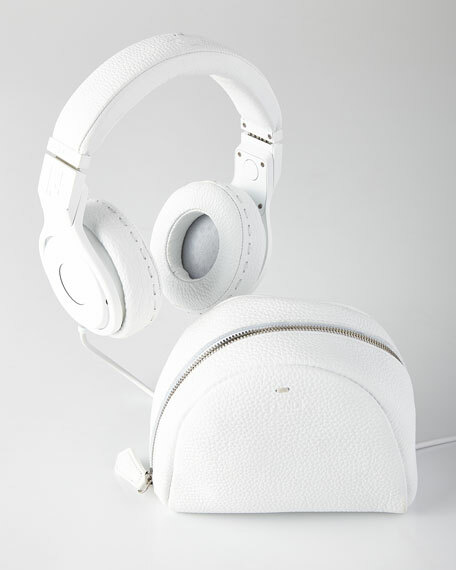 Headphones wrapped in FENDI's signature Selleria leather. Hand stitched for a luxurious look. Custom, color-matched Selleria leather case. 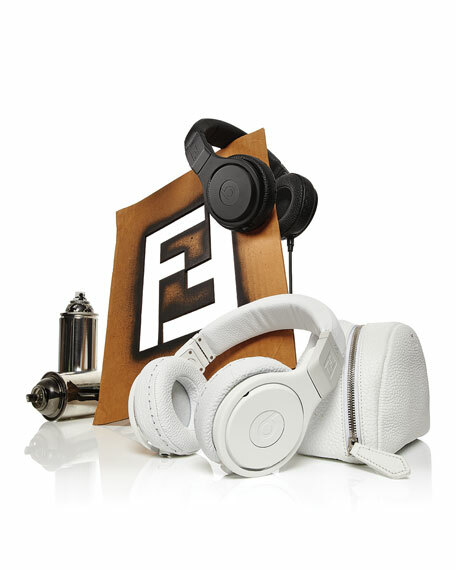 FF logo engraved on side of headphones; FENDI Roma logo debossed on top of the headband. Approximately 9" x 7" x 5.375". For in-store inquiries, use sku #1672994.